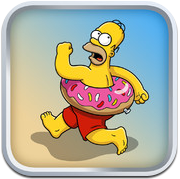 In case you missed it, The Simpsons Tapped Out version 4.3.0 was released today for iOS and Android. The update finally brings the long awaited Squidport Water Front along with several new characters and decorations. If you are on the lookout for a modded version of the game which will allow you access to all the old items along with free doughnuts you can check out the following Android APK Mod along step-by-step instructions on how to install it to your device. [NOTE] This MOD should also work with Bluestacks if you are an iOS user. [IMPORTANT] This MOD gives users a way to gain an advantage on the game. Please do not misuse this advantage as it will result in you getting banned by EA. [IMPORTANT] Once you have gained the advantage that you need please uninstall the MOD and continue playing through the normal Google Play or Amazon App Store download. [UPDATE] This guide has been updated as of July 25th Level 32. You can find the MOD for The Simpsons Tapped Out 4.4.0 here. Uninstall any older versions (installed versions) of The Simpsons Tapped Out APK from your device. Enable Unknown Sources on your Android device, Under Settings > Security. Install a file Manager like ES File Explorer on your Android device. Install v2, Open TSTO and allow a minor update to be installed. [NOTE] If your game is stuck in the loading doughnut or stuck during updateing try again later as the servers are busy. Now login and play the game as you normally would. If you wish you continue to play the modded version of the game instead of the regular game from EA, we suggest trying out the following methods instead. Download and Install PAW Server for Android on your device. Run PAW Server on your device in order to generate the required folders. Install v0 on your device, Open TSTO and wait for the game to install required updates. Download 4.3.0 vPAW (TSTO_v430_vPAW.zip) and extract the contents to a known location on your computer. Extract tsto430_v1.zip (found inside TSTO_v430_vPAW.zip) to /mnt/sdcard/paw/html/ which is /paw/html/ on the sdcard. Push Enter and then the OK button. Close this folder, Open ES File Explorer on Bluestacks and browse to SDCard/bstfolder/BstSharedFolder where you will find the tsto430 folder. Long press the tsto430 folder, so it gets marked, and click Copy in the bottom of the screen. Go back to the local folder (click Local and / Device in the left panel). Go to SDCard/paw/html/ and click the Paste button in the bottom of the screen. Run the PAW Server for Android app and make sure it is running. Install TSTO_v430_vPAW.apk (also found inside TSTO_v430_vPAW.zip). Extract the latest Server files (from Step 1) into the /paw/html/ folder on your device. Download and Install KSWEB: server + PHP + MySQL for Android on your device. Download 4.3.0 vKSWEB (TSTO_v430_vKSWEB.zip) and extract its contents to a known location on your computer. Run KSWEB for Android on your device. Install vKSWEB.apk (also found inside TSTO_v430_vKSWEB.zip). Q1) I accidentally purchased all the boardwalk tiles and now cant complete the mission. What do you I do? If you accidentally do this plant a crop at Cletus's Farm use a normal crop not a hacked in crop and it should count. Q2) I am running Bluestacks on a Mac and I am getting an error sayings it's already installed. What do I do? Q3) During Step 8 of the installation my game gets stuck on the update or on the loading doughnut. What do I do? If you get stuck on either screen its likely due to server load. We suggest closing the app and trying again later. You can see whats available on this MOD here.